For those reasons, I was looking for alternatives. Ben Splittgerber (@bsplittg) then gave me the crucial hint that I should set up a BDM partition. He has already implemented this solution like this for one of his customers. After several previous tests, I implemented the solution as described below. After starting a test server from this vDisk, copy “C:\Program Files\Citrix\Provisioning Services” to the local file system. Delete local disk and create a partition with the size of 10 MB in the file system FAT (not FAT32!) format. The rest of the disk can then be used as write cache. 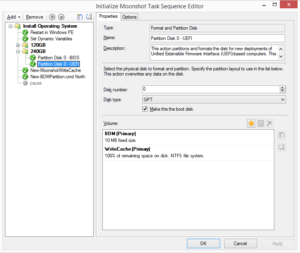 To prepare the targets we use SCCM, for this I created the task sequence. 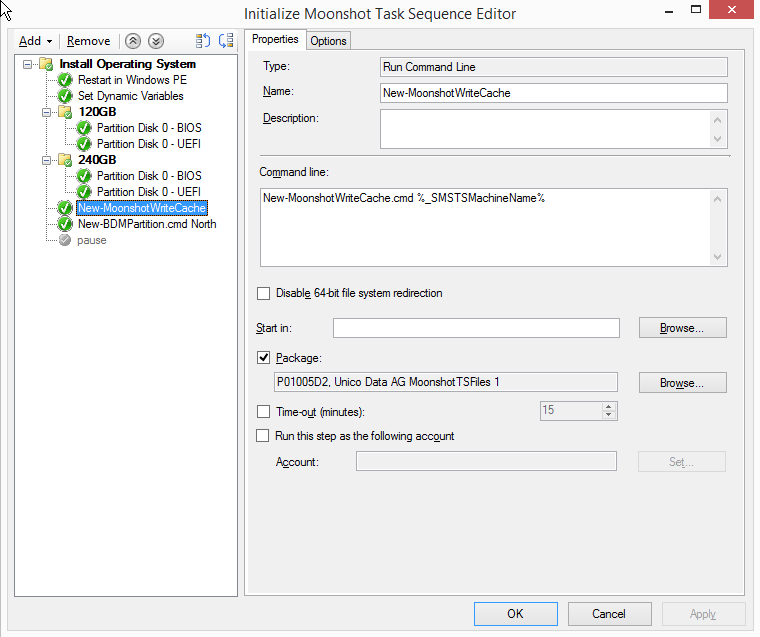 The task sequence includes a package which contains the scripts and the BDM boot area. 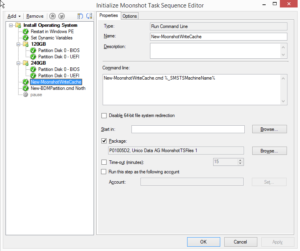 To select automated on both locations the appropriate configuration, I had to decide at which location the target is provided and choose the appropriate configuration file. Our computers start with two characters that help to identify the location. That looks probably different everywhere and must be adjusted accordingly. Based on this information, the script decides whether to take the configuration for the northern or southern location. At both locations, it has two PVS servers which are located in a separate PVS site. Below you can see the description of the configuration. The task sequence performs the partitioning first. There, the boot partition and the write cache partition are created. 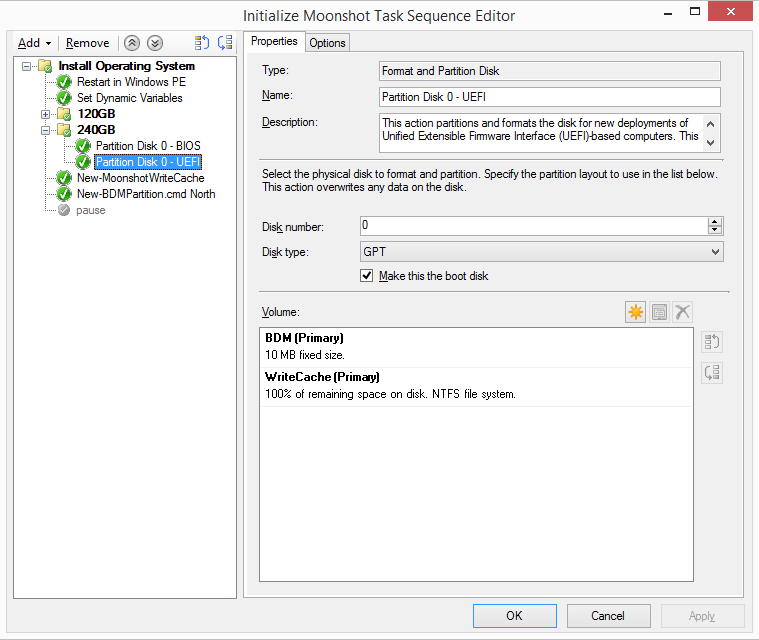 In the following step, the script for setting up the BDM partition is called. When the script is called, the computer name is transferred from SCCM. The target does not yet have the variable which contains the computer name at this time, so we pass this variable as a parameter to the script. 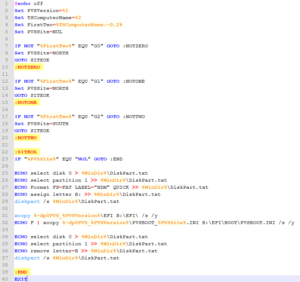 This script formats the BDM partition and copies the files. It finds the first two characters and sets the location as a variable. Then the partition is formatted with FAT and assigned a drive letter. Then the corresponding configuration file containing the location name from the variable can be copied. At the end, the letter is removed. 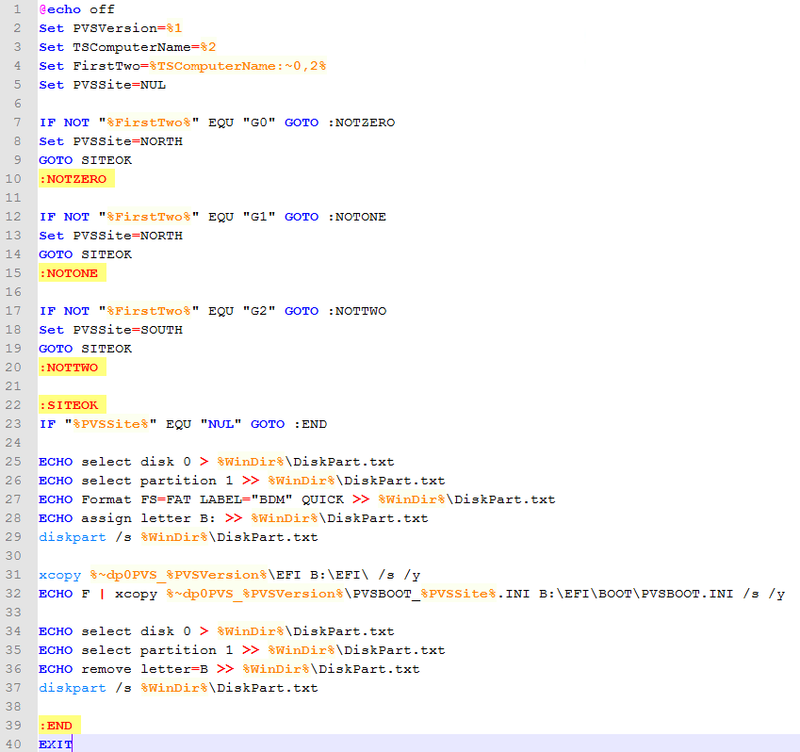 At the end, the BIOS can be customized so that the server starts from the disk, the bootloader is then loaded.